Thank you to everyone who came to my Watercolour demonstration on Wednesday, many thanks for inviting me. For its October session, Scarborough Art Society was treated to a Double Demonstration as Robert Brindley offered a Master Class in landscape watercolour painting. 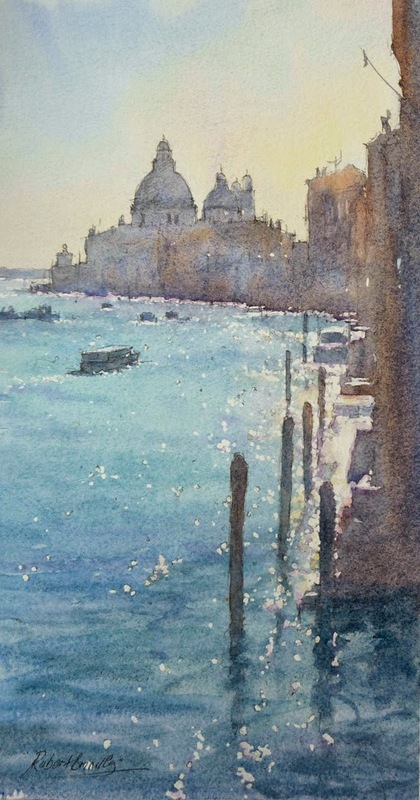 His first subject: ‘Grand Canal Sparkling Light’ was completed in time for him to start on a second landscape: ‘Winter Snow North Yorkshire’. 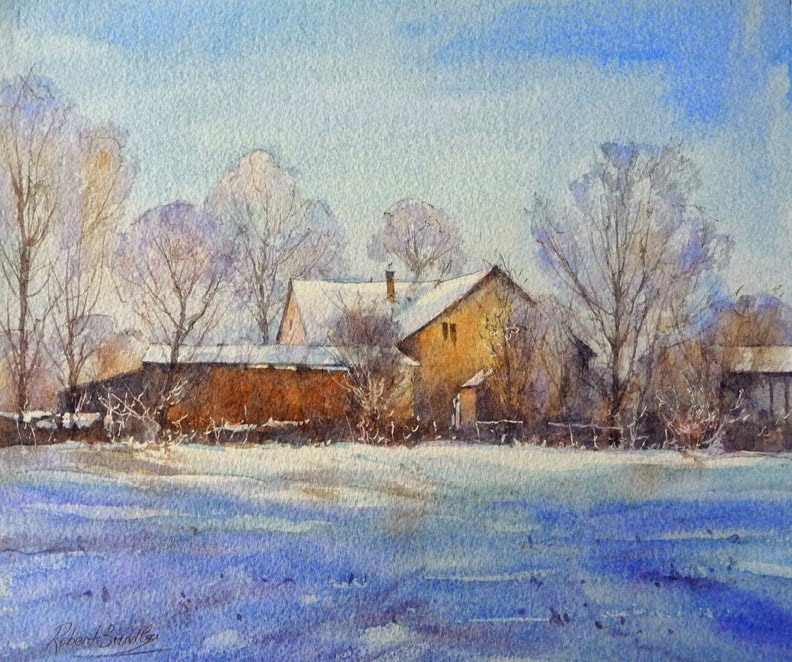 His next subject: farm buildings in snow, with shapes and shadows of roofs and bare trees. Robert explains how this landscape has cooler tonal values than the Venice scene. He applies the same technique, limited palette of colours to meet the right tones for the scene, describing each stage as he paints with extra advice on painting of trees and brushes to use etc. This painting is not quite complete as the evening session ends. However both paintings will be added to his web site in due course. It was an extra bonus to have a demonstration of two landscape scenes in one evening, particularly by an artist of Robert’s standard. It was impressive to watch an artist with such competence; a most enjoyable and inspiring evening.